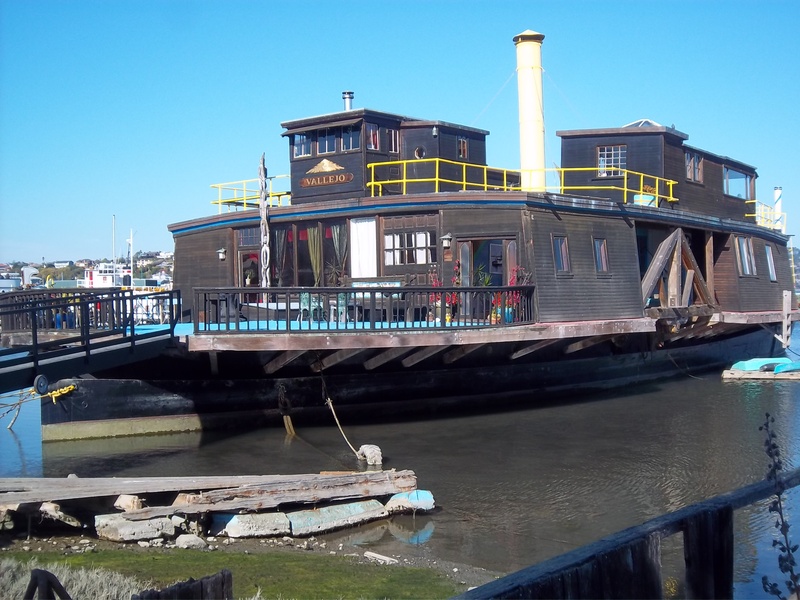 HOUSEBOATS OF SAUSALITO | Carol Sheldon writes books exploring times-past through mystery, love, betrayal and murder. I’m waiting for a new shipment of A SLEUTH IN SAUSALITO. Meanwhile, as houseboats, and the people who live in them play a big part in the book, I thought you might like to see some pictures. To order A Sleuth in Sausalito, click here. 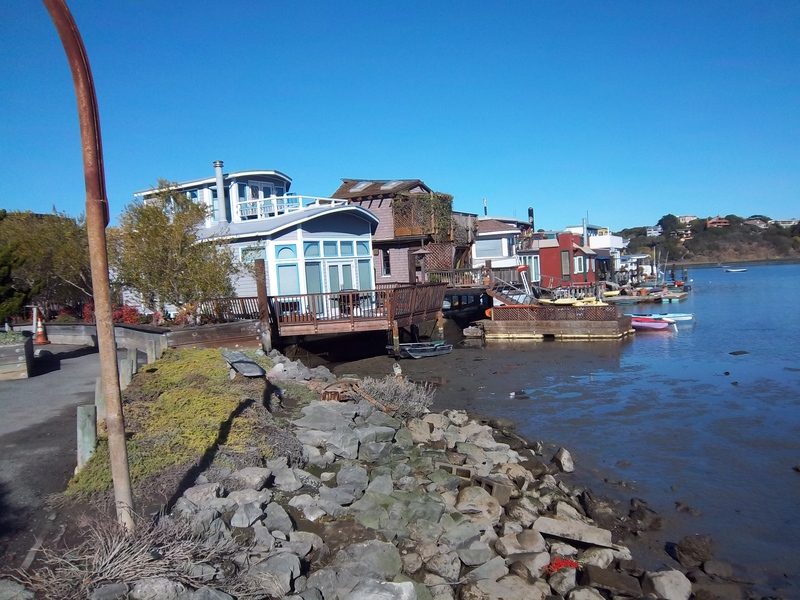 Of course, the only ones I’ve pictured that were here during the 50’s and 60’s are the one that needs a facelift, and the Vallejo, a former ferry boat purchased by artist, Jean Varda (a character in the book) and Alan Watts. 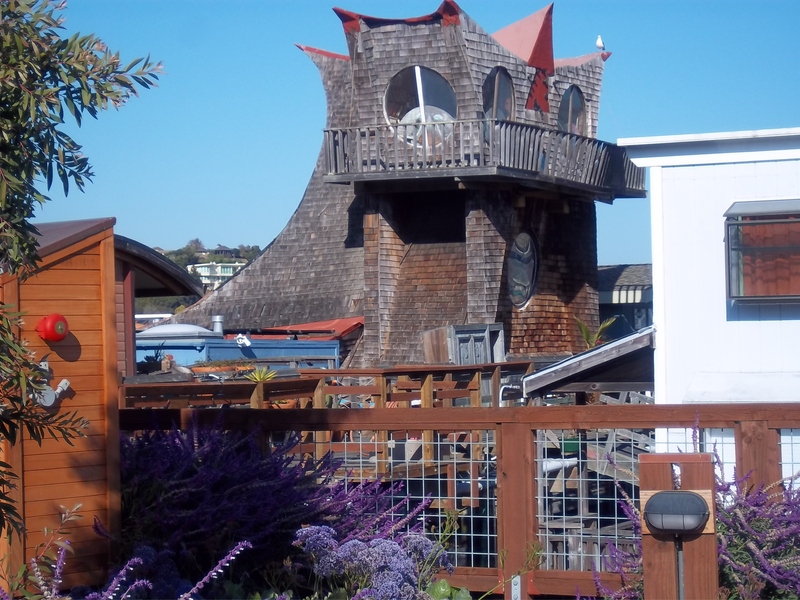 One of the unique houseboats in Sausalito, the Owl. 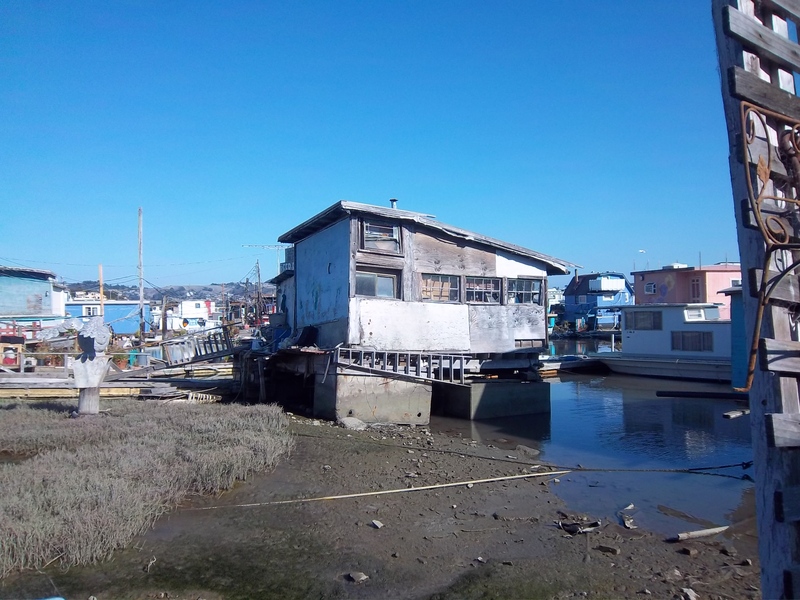 Most modern houseboats are built on a concrete barge that rises and falls with the tide. Some, however, are attached to pilings imbedded in the Bay. 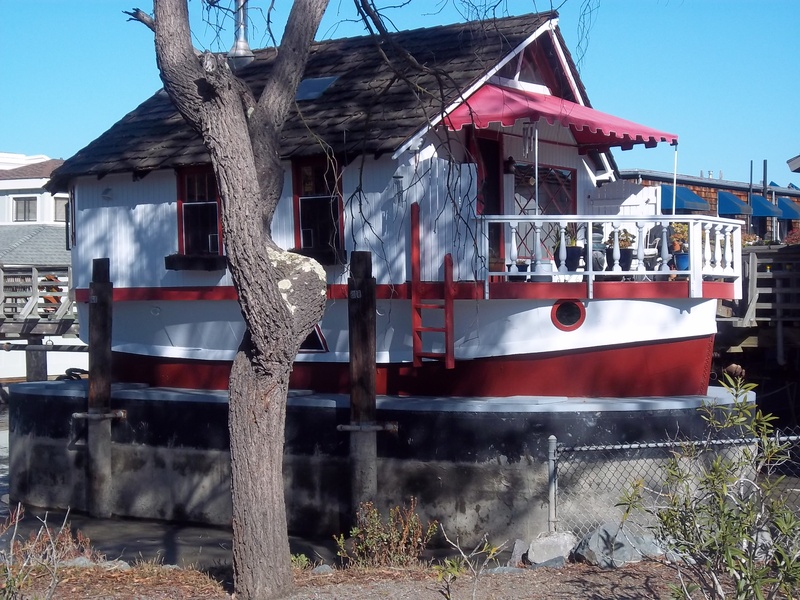 Houseboats are still a major player in Sausalito!